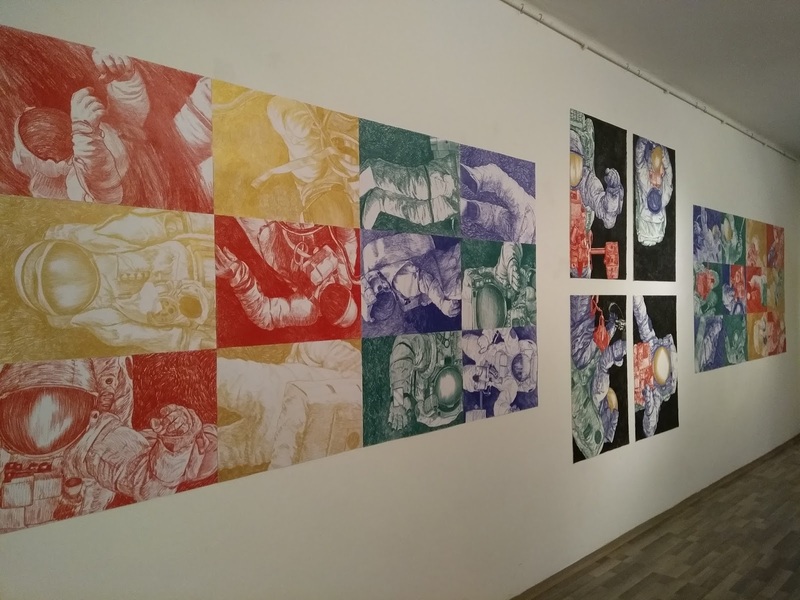 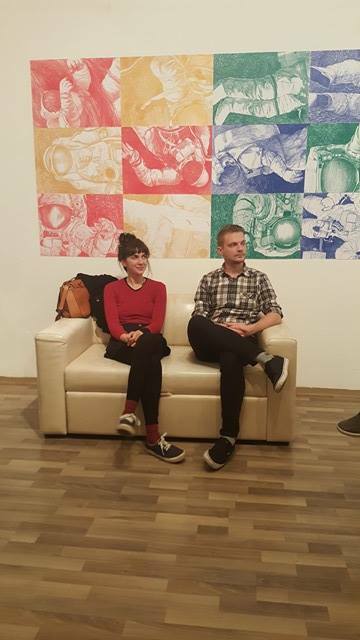 When my friend and I made the mural on the wall of the Public University (http://zgubljen.blogspot.hr/2016/11/mural-in-zapresic-croatia-dreams-of.html) we were asked to make an exhibition with works that lead to the one standing on the outside of the building so I exhibited an old one, "The Attempt" and all of its parts. The great thing about the opening was that Paula Bučar, the one who invited us for exhibiting interviewed us instead of just conventionally speaking for of us. We were asked about our motifs and intentions with our art. 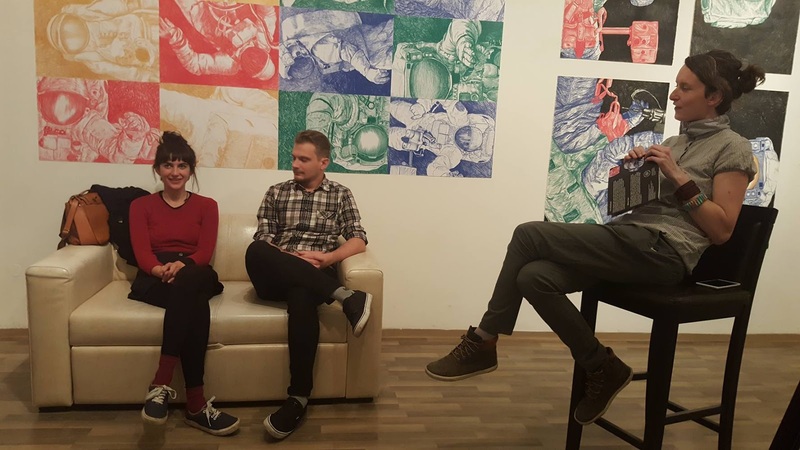 Everything felt natural when speaking for your work.